A sizable chunk of the GRE requires you to think about arguments. Half of Analytical Writing is the Analyze an Argument task, and about half of Verbal Reasoning is Reading Comprehension, a question type that often uses argument-based passages. Conveniently, you can prepare for Reading Comp and the Argument Task simultaneously using free (and modestly priced) practice material from ETS, maker of the exam. Other free, high-quality resources can sharpen your critical thinking skills, too. 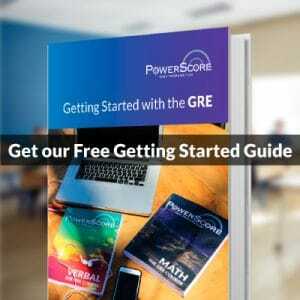 You just need to be open to supplementing your GRE prep materials with some real-world reading. About one-tenth of Reading Comp questions will ask you to do one of the above. Though only a small fraction of the Verbal section, these questions tend to be among the more difficult ones, so getting them right probably plays a part in getting ahead of the curve. Only two of the eight possible sets of instructions for the Argument Task plainly mention any of the above. But don’t be misled. The best Argument essays will expose assumptions and explore supporting and defeating evidence. 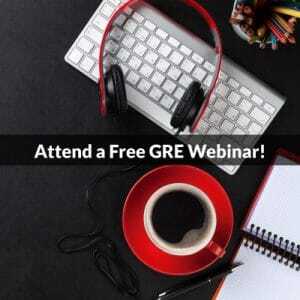 You know that prep books and practice tests and perhaps a prep course can help get you ready for GRE Verbal and Analytical Writing. You may also know that the official (very big, totally free) pool of GRE Argument topics can serve as practice passages for both Reading Comp and the Argument Essay. And if you’ve read any of the Argument topics, then you surely know that, like with some Reading Comp passages, the content is artificial and sometimes dull. Fortunately, critical thinking is a real-world skill that you can apply to any topic. Controversial issues, in particular, challenge you to think critically and can be explored in a balanced, accessible format at some great websites. Two are ProCon.org and Debate Club at USNews.com. ProCon.org is a nonpartisan, nonprofit whose stated mission is “Promoting critical thinking, education, and informed citizenship by presenting controversial issues in a straightforward, nonpartisan, primarily pro-con format.” Let’s look at the entry on Social Networking. Premise: Social networking sites spread information faster than any other media. Conclusion: Social networking sites are good for society. Unstated Assumption (Implicit Premise): Social networking sites enable the spread of reliable and true information. Procon.org has more than 50 entries. Issues range from golf (sport or not?) to gun control (more or less?) and all entries follow the analysis-friendly pro-con format. At either site, pick a conclusion and pair it with a premise or two. Then think about ways to strengthen or weaken the argument you’ve constructed. One way, as illustrated above, is to affirm or deny an unstated assumption. If you need help, try looking for premises that defend a contrary conclusion. Explore both sides of the debate. Being ready to take either a pro (strengthen) or a con (weaken) position will make you better at both Reading Comp and the Argument Essay. Become ready by thinking critically about real issues, not just GRE practice exercises.